Norfolk Pest Control Services can trap and remove all rats and mice for you, quickly leaving you rodent free. We work on large and small contracts with Domestic Customers, Local Authorities, Mills, Farms, Industrial Estates, Commercial Clients, and Shops. Call us today on 01379 852 950 or 07806 875 985 and ask us for a no-obligation quote. We’ll always be happy to help and give you advice. Prices can vary according to the size of the job, so call us for a quote today and we’ll soon make your rodent problem go away. Rats can be found anywhere – In your house, on the farm, in shops and restaurants, on industrial estates – you name it, we’ve found rats there. They can grow to nearly a foot long and the males can weigh half a kilo. They breed quickly, with a gestation period of 3 weeks and litters of up to 10 young . Left unmanaged they can cause substantial damage to farms, houses, and shops, as well as gardens, drains, and of course food products. Mice are much smaller, but also extremely fast breeding. They too can cause considerable damage to property and agricultural land. 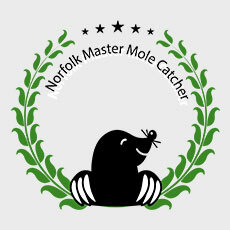 Thankfully, Norfolk Pest Control Services have lots of experience of successfully managing Norfolk’s rodent problems using rodenticides in tamper proof traps. We are fully insured, extremely qualified, and compliant with all the latest legislation.